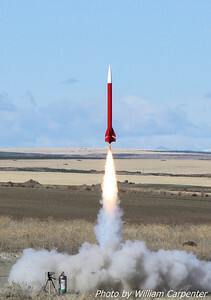 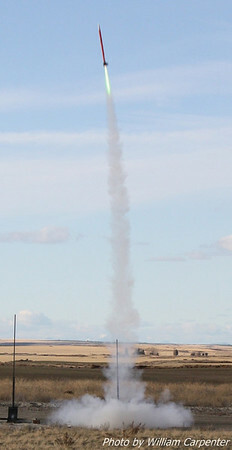 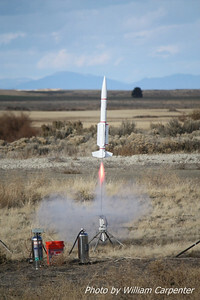 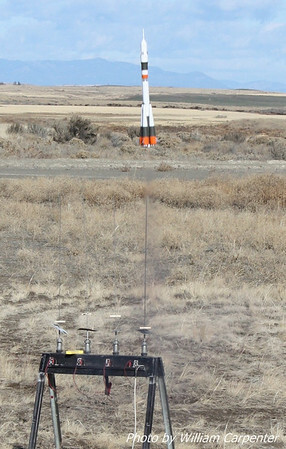 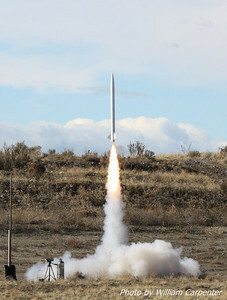 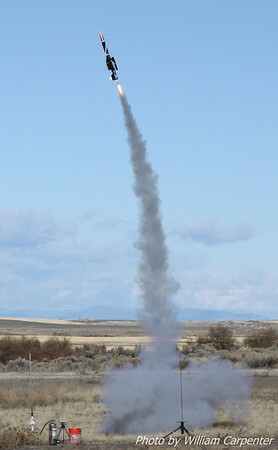 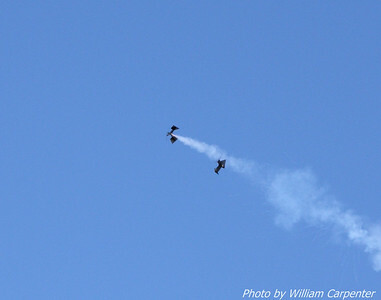 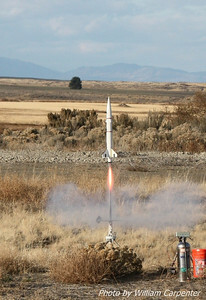 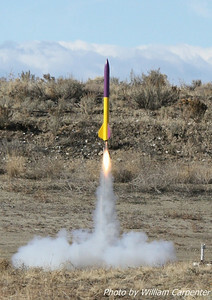 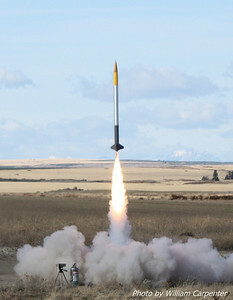 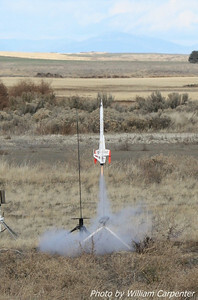 My photos from the Washington Aerospace Club's last launch of 2009. 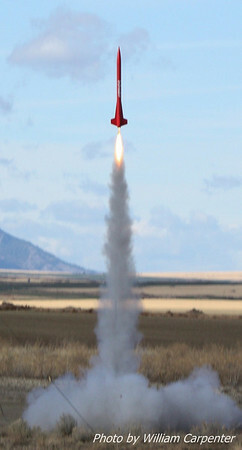 An AeroTech Cheetah lifts off from the mid-power pads. 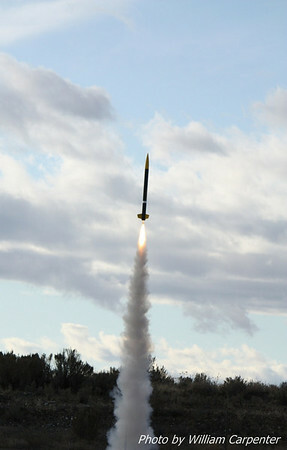 My Pemberton Technologies 3FNC lifts off on an F36. 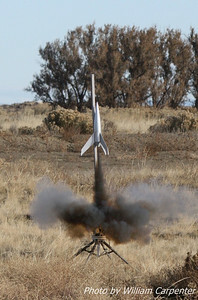 This motor seemed to underperform a little, and my 3FNC arced quite badly and only reached what looked like 200', instead of the RockSIM predicted 600'. 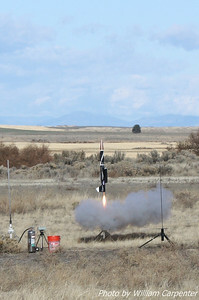 My Mercury Engineering RDR II lifts off on a cluster of two E30s. 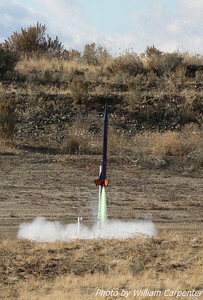 A FlisKits Frick n' Frack two-stage saucer lifts off. 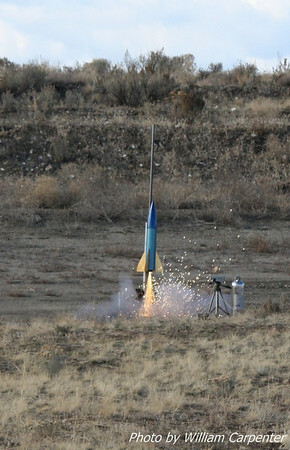 The Frick n' Frack shortly after staging. 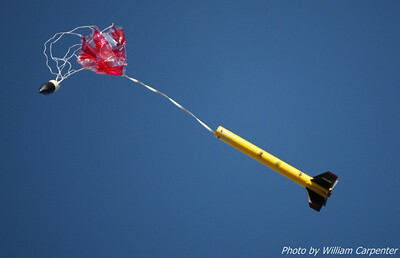 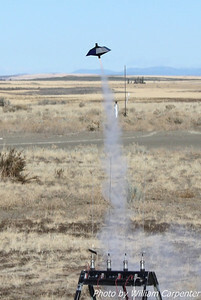 "Boris the Spider", a Sunward Aerospace Arachnid, recovers under a fouled 'chute. 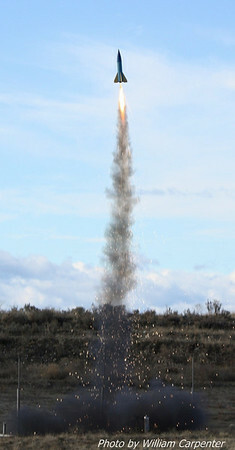 Tim Doll's Soyuz lifts off from the low-power pads. 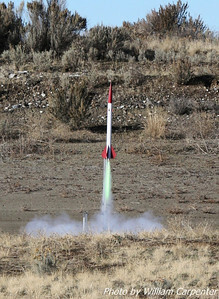 Tim Doll's BOMARC lifts off on a G64. 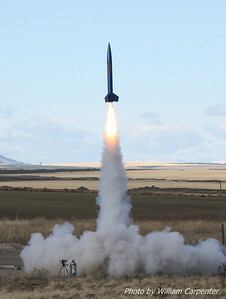 A rocket named "Boris the Spider" lifts off from the mid-power pads. 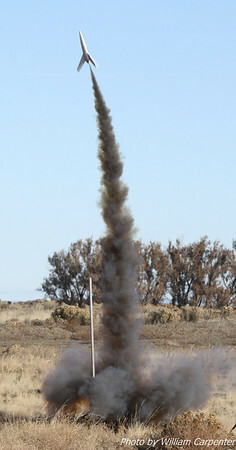 "Boris the Spider" flys again. 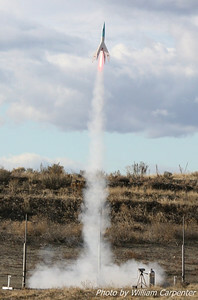 My DynaStar Rising Star (complete with on-board altimeter) upon ignition of its F24. 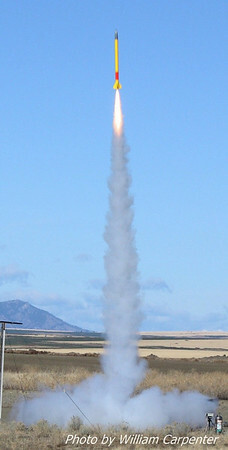 An upsace Estes Quark lifts off from the high-power pads. 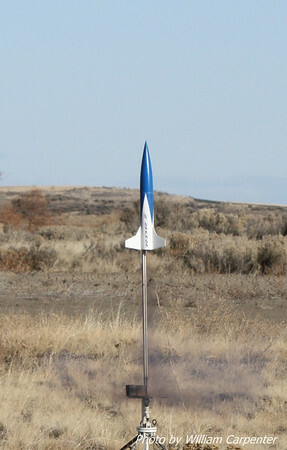 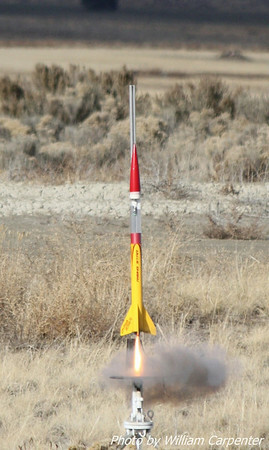 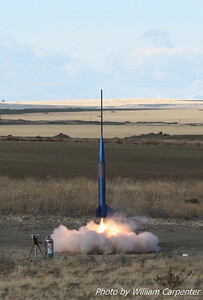 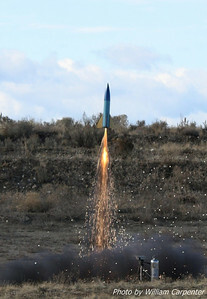 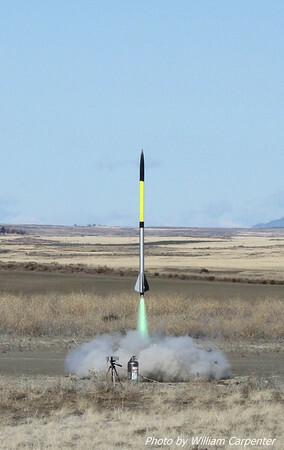 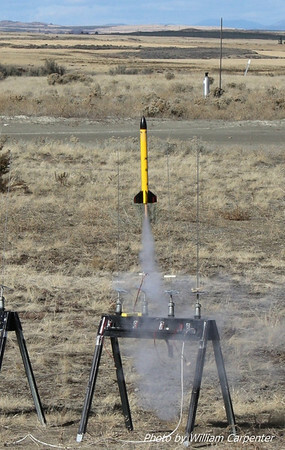 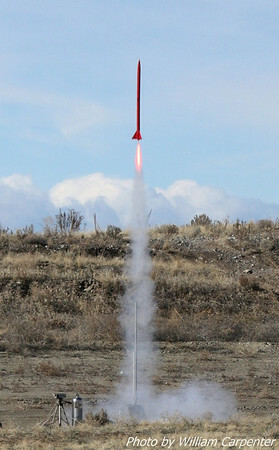 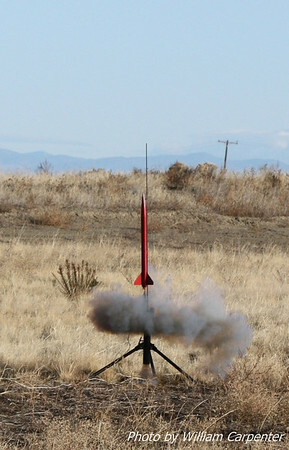 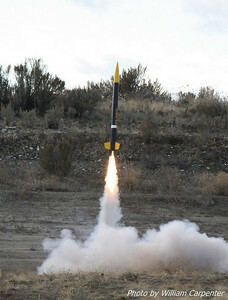 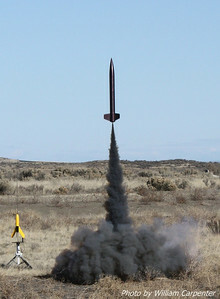 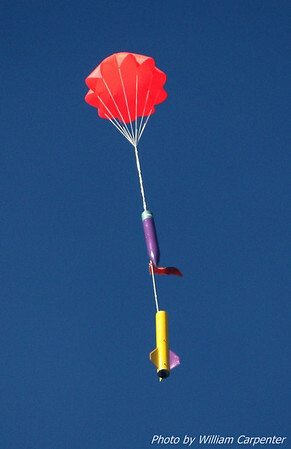 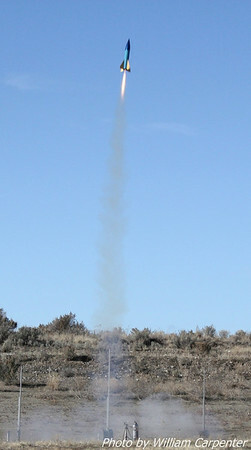 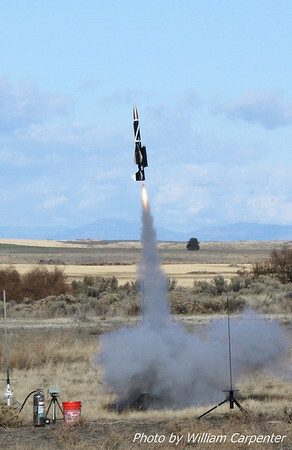 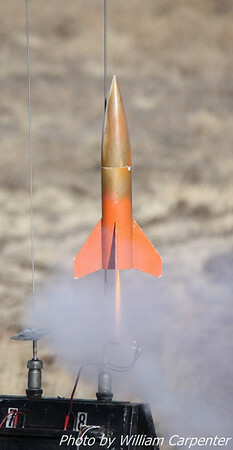 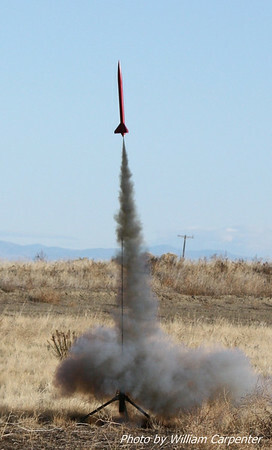 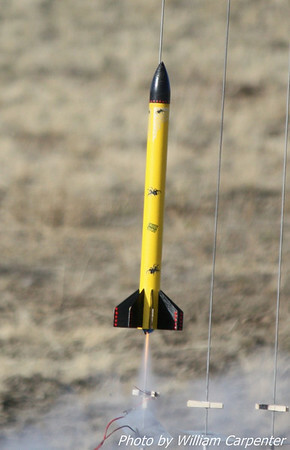 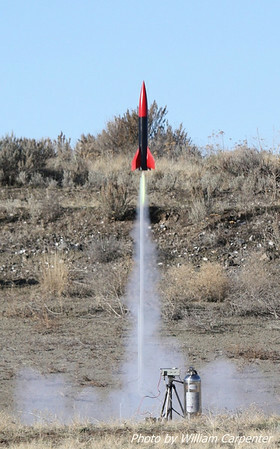 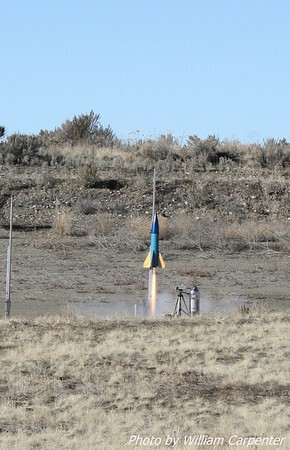 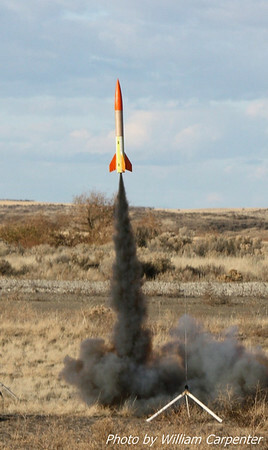 A rocket named "Blue Angel", sporting a paint scheme to match, lifts off on a J90 long-burn motor.